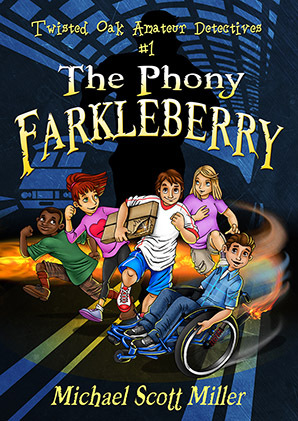 When a painting by legendary artist Thomas Farkleberry is stolen from the art gallery where Tyler’s mother works, Tyler’s mind races to the whispered conversation he overheard on the night of the big gala. But when his mother dismisses Tyler’s suspicions, he and his friends, Melanie, Amanda, Tubby, and Dontrelle, decide to take the investigation into their own hands. Can they crack the case before their parents discover what they are up to? After a series of unusual accidents at Camp Manahoac, the camp’s owners frantically call the Twisted Oak Police Department. Detective Johansson sends Tubby, Tyler, Dontrelle, Amanda, and Melanie under cover to figure out what’s going on. 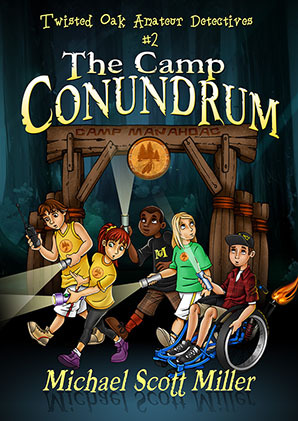 Are the mishaps just a few unfortunate coincidences or is someone trying to sabotage the camp? A lost property deed. 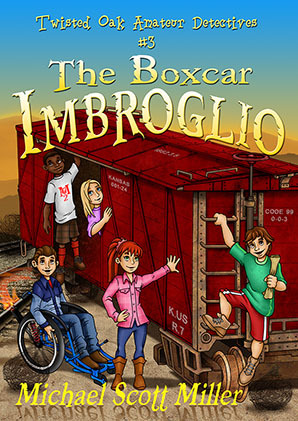 A homeless man nicknamed Boxcar living on the edge of town in a broken-down railroad car. A cattle rancher digging for oil. A feud over a parcel of land. When the Twisted Oak Amateur Detectives spend a week at Amanda's grandparents' lake house in Kansas, they decide to trace an old property deed they find just for fun. But as the kids investigate, they discover a lingering feud and begin to wonder if the deed holds a secret that some folks would rather keep buried.